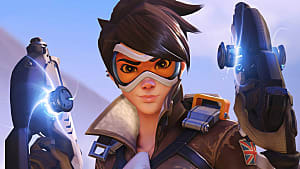 Yes, while the majority of the competitive scene for Overwatch takes place on PC there is still a large player base on both PS4 and Xbox One. 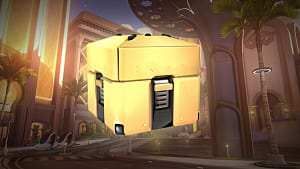 With the release of "Competitive Play" back in July players on every platform have been striving to improve their skills and raise their rank. So where does Genji fit into this topic? 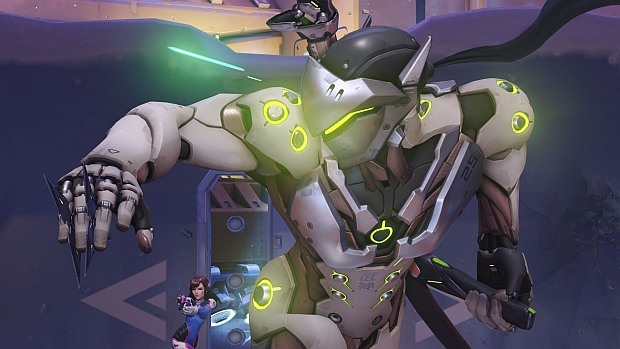 Genji is one of the most versatile heroes in Overwatch. He's great at being an annoyance to the other team, harassing back line heroes, assassinating key targets like supports, and his ultimate ability is capable of wiping an entire enemy team. 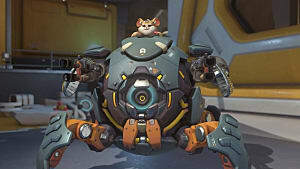 On top of all that he has a ton of mobility that he's able to use to engage opponents, escape them, or just make capturing an objective even more difficult. I have played over 35 hours as Genji on PS4 and I'm still certainly not an expert, but in my time playing him I've made a few adjustments that have been immensely beneficial to my effectiveness as Genji. The following information assumes that you are already familiar with Genji's abilities and general play style. As you may or may not know Overwatch allows you to make custom controls for each individual hero in the game. This is especially beneficial on console because the default controls are not always the most effective. Genji's default jump is bound to X or A, this requires you to take your thumb off of the analog stick in order to make Genji jump. By binding his jump to LT/L2 you eliminate that issue. Move your secondary fire to either your right shoulder button (R1) or your right trigger button (R2) and your Swift Strike to L3. Now you can jump and double jump while still having both thumbs available to aim and move. 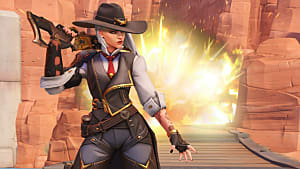 What this does is it allows you to maneuver more efficiently, you can aim while jumping more accurately and make yourself harder to hit while still dealing consistent damage. When you are capturing an objective or are under heavy enemy fire you want to always be jumping and double jumping. Genji's double jump makes him a pretty elusive target, especially on console, where hitting moving targets in the air is all the more difficult. 2. Always remember your wall climb! Tying in with the previous tip it is important to always be moving in Overwatch. 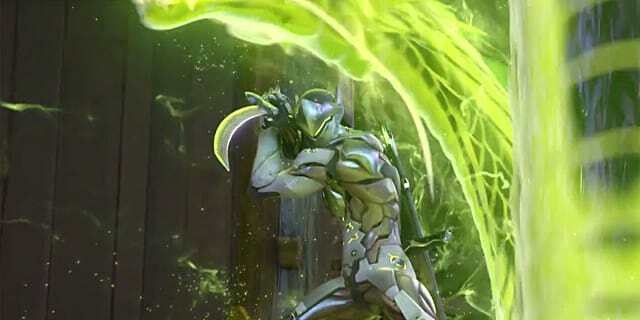 Especially with a character like Genji who was a few abilities that dramatically increase his mobility. 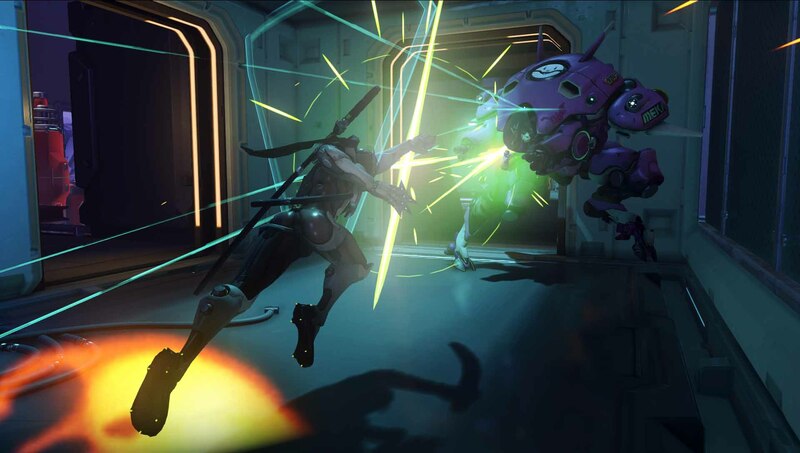 Cyber Agility gives Genji the ability to climb walls. 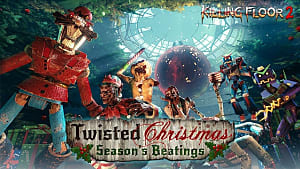 This allows you to get to different vantage points, reach enemies that may be perched atop a building or simply to escape. Now we can get into the Swift Strike ability and why we moved it to the left analog stick button (L3). The main reason is that we needed to keep our L2/LT button free so that we can use "bumper jumper". By moving the dash to the analog stick button we still allow ourselves to use the left shoulder button (L1) for the deflect ability, I experimented with having deflect as L3 but it just felt awkward. 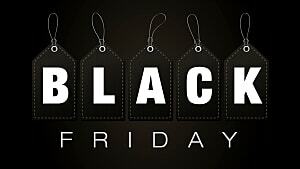 Since we aim with the right analog and move with the left we can still keep moving as we aim our Swift Strike. I won't go into the mechanics of the ability itself but as you likely know it can be used with or without a target, meaning you can use it to attack your enemies or you can use it as a quick short distance escape. Having it set to L3 makes the most sense in this configuration, Swift Strike require less accuracy for the most part than your other damage dealing abilities. Having it just beneath the analog stick you use for movement feels the smoothest in my opinion. You may already be familiar with the "Genji combo" but I'll give a brief description. Basically what you want do anytime you get close to an enemy is shoot your secondary fire at head level, then immediately melee and then use Swift Strike. So get close to an enemy, aim for their head, fire your 3 shuriken spread shot (secondary fire), and dash through them (L3). You can also use your primary fire for this combo, basically in order for it to work all 3 shurikens need to hit the enemy in the head or crit spot. If done correctly you will kill any 200HP hero in the game and significantly damage tanks. Since Swift Strike resets on kills you can keep performing this combo. However, it does take practice and due to the sporadic movements in the game sometimes you'll miss a portion of the combo. It is a devastating combo so use it to your advantage and keep practicing! Genji has a very powerful ultimate. 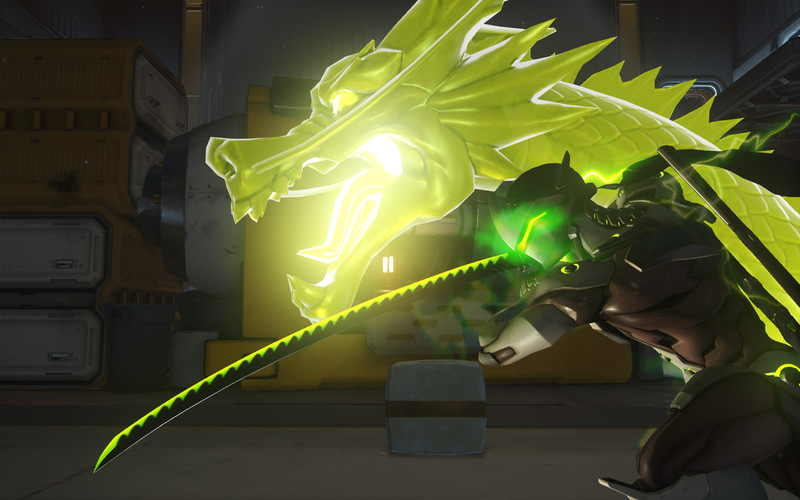 His Dragonblade deals fairly significant damage while still allowing you to use most of your other abilities. Genji is fairly vulnerable during his ultimate so it requires some finesse to really get the most out of it. What this means is that you need to be selective about when you choose to use it. 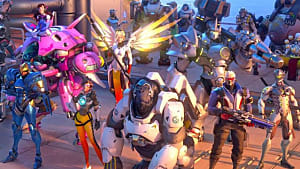 Try to sneak behind the enemy or combo with another heroes ultimate like Lucio or Zarya. 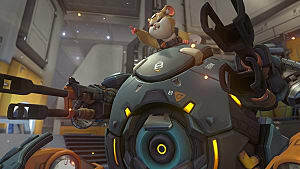 Be sure to deal with any pesky turrets before activating Dragonblade. With the changes we made to our controls we can be even more elusive as we slice through enemies with Dragonblade. It should also feel much smoother once you're familiar with the controls. Since jump is now set to L2/LT you can jump and double jump while swinging your sword. Remember that your swift strike resets on every elimination, whether you get the killing blow or not. So once you finish one enemy press L3 to dash to the next one, or if they're close enough then slash them with your sword and use Swift Strike to finish them off. Here's a brief clip of me showcasing an effective use of Dragonblade while using the controls I listed above. I hope that these tips are able to help make you a better Genji player. 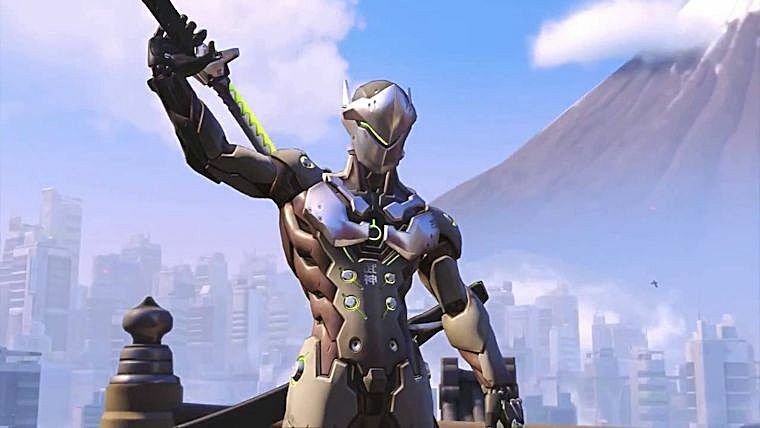 Genji is an incredibly fun hero to play and he has a high skill cap, you can always get better with him. Of course you can make your own adjustments to my recommendations to better suit your comfort and play style. Making changes to the way you play a character does take some getting used to, so I recommend practicing against the Training Bots in the Practice Range until you get a feel for the new controls. 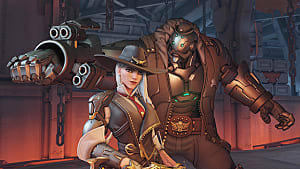 If you enjoyed this article feel free to let me know and I may write more for other heroes in Overwatch. May your warrior spirit burn.